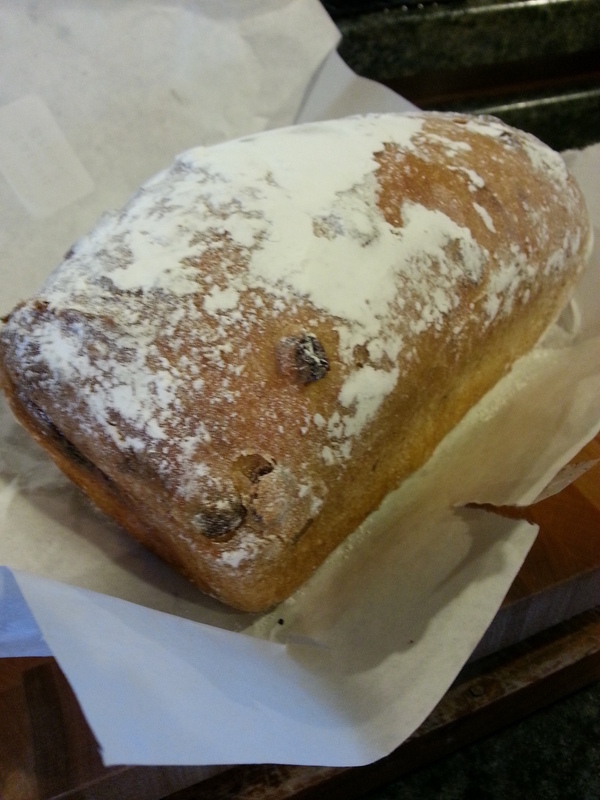 While having brunch with my family at a downtown delicatessen the other day, I had the surprising good fortune to enjoy a slice of the best raisin bread I've ever had. So good in fact that I asked the server if they could give me the contact information for the bakery that supplied it...only to discover that it wasn't made by a bakery at all but by a local guy out of his mother's garage-turned-commissary. After several phone calls and a long lunch, I realized that this baker represented more than just an advisory engagement opportunity for me. After determining his options for a sustainable business platform I quickly realized that this young man (and his uncanny ability to produce some of the best breads I've ever eaten) represented something more profound: The endangered demand for quality products in lieu of convenience. Its sad to imagine my daughter growing up in the absence of "downtown neighborhoods" with retailers like this. But almost gone are the days where local artisans and craftsman line the streets with their shops ie; specialty bakeries, cobblers or coffee roasters indigenous to every town. Granted....more and more Dean & Deluccas and Food Halls style gourmet eatery markets are popping up in most major US cities but outside those densely packed urban areas, suburbanites are driving to lifestlye-centers and super-grocery chains instead of the local town butcher, baker, candlestick maker or farmers' market. Central Business Districts (CBDs) are the lifeblood and identifying character of any community but without operational systems for replication and mass production in place....master bakers (or coffee roasters, etc...) are saddled with the reality that although they will always be able to pay the rent, surround themselves with like-minded individuals and perhaps have a nice life living above their shop toiling away for 80hrs a week...they'll never realize the fortunes reserved for one stop shop food warehouses and most chain restaurants. Many will argue that franchises are the answer. Most of whom (save for a few with incredible brand equity and operational support in place) most often charge franchisees without sufficient experience (but plenty of passion) $30k for the right to use their name, "formula" and recipes but generally fail to deliver on the all important and imperative component ...the "secret sauce" or "genuine experience" which is only really provided by those who walk and breath their product or service...as the aforementioned artisan. Its that "wow factor" that is delivered by committed people who love what they are doing and are working in concert with an experienced team. In exchange for maintaining the integrity of their small-batch products many artisans like Napolitano are often exiled into obscurity... Unless they write a book or land on a food network show or... garner regular support from their neighbors. They are often underpaid and undervalued by the masses who pay their cable companies more than they pay their teachers...and choose their bread based on value and calories or even more ironic....the amount of carbohydrates per slice. Meeting David was like meeting Picasso. You could no less mass produce his product than you could mass produce him. Making bread is more than a culinary art. You're not just working with inert ingredients and measuring spoons. Yeast is a living thing and working with dough requires, touch, taste, smell, sound...its a living breathing thing affected by everything from sea level to humidity. When I considered the great chefs I've worked with, I realized that although they were incredible artists and efficient kitchen managers...they were also able to cross-train and coach. Mentor and develop. And that's what David needs...a venue in which to build systems, infrastructure and staffing levels that support a cross-training and development programs. He needs help creating a platform to turn people into bakers making bread his way so that he can share it with (or from) more downtown shops and not be forced to grow old above any one of them. Its not enough to be great at what you do. The real value is in collaborating with and developing people within structured and managed systems. Perhaps that truth will transcend restaurants & hospitality and will, someday, prove relevant to my daughter in some other way. Until then, I'm stuck with my own frame of reference...and my own delicious raisin bread.